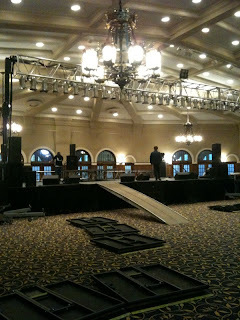 Taking Back Sunday, Anberlin, fun., and Gavin Castleton play the IMU Main Lounge tonight!! SCOPE is working hard to set up the stage. It's going to be a great show!